WhatsApp today announced a new form of status update — this time with colorful text and backgrounds. Now, when users have a text update to share, they have the option of doing so with a bright background or font. Now you never have to worry about getting the word out to all your family and friends. Whether you’re looking for vacation recommendations or notifying a group about the address for a party, the text-based status feature allows you to update your contacts in a fun and personal way. Users have the option to select the font and background color of the status update. Pictures of the feature show the status will also display links. The feature will rolled out to iOS and Android users today, and will also be available to those who use the web client. All in all, it looks like a cheerful update, especially if you’re a touch camera-shy, like me. 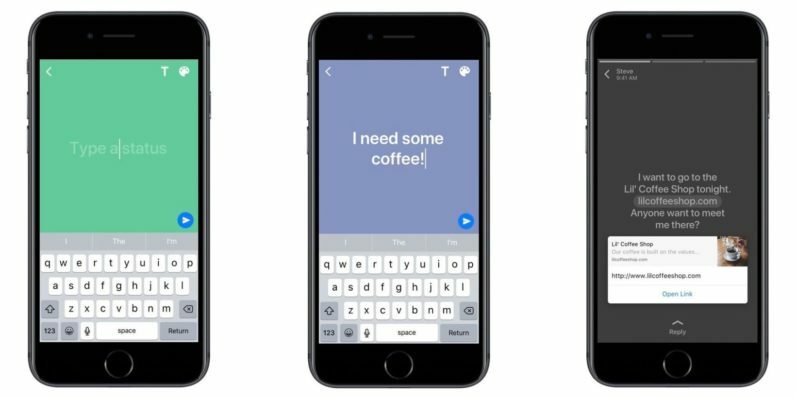 It appears to be functionally similar to what Facebook introduced to its text statuses last year.